Jesus asks, “Who do you say I am?” Peter rightly answers, “You are the Christ.” Following Peter’s confession, Jesus immediately begins teaching his disciples that he will suffer many things, be killed, and after three days will rise again. He clearly shows that suffering is very much included in his mission to save us from sin. Jesus explains that those who would be his disciples must expect suffering. Faced with Christ’s teaching, those in the crowd had the option to become his disciples or not. And the disciples had the option to keep following him or quit. What do you do when faith causes you to suffer? Suffering remains a requirement for discipleship, and Christ expects those who follow him to commit to this requirement. All Christians may not be put to death for their faith, but all encounter suffering of different types and various degrees because of their commitment to Christ. Suffering is not the end of discipleship, however. 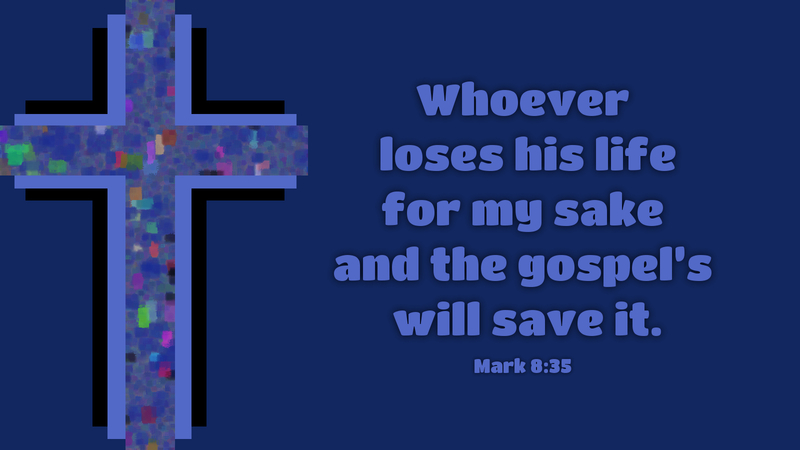 Like Christ, who after dying on the cross and being raised from the dead, those who suffer and even lose their lives because of him, will save their lives. Beyond the suffering is eternal life for those who believe in Christ Jesus. Prayer: Lord Jesus Christ, grant me the strength to carry my cross and follow you every day of my life. Amen.